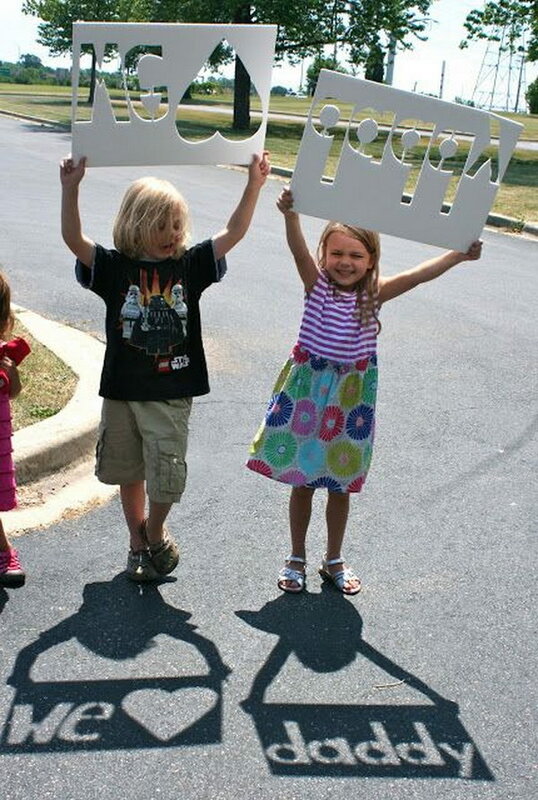 DIY projects are great for kids because it lets them play while keeping them focused and busy. 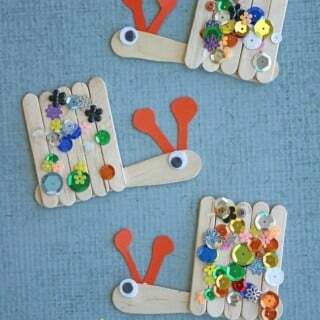 It is not by chance that primary and pre-schools often enforce these kinds of projects and have kids doing them for various holidays and celebrations. They aren’t just great to do at school and share with the community, though. 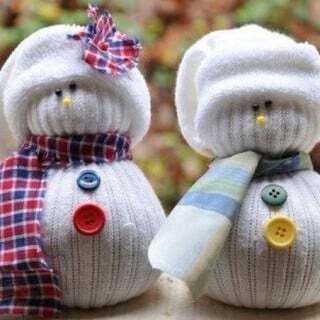 In fact, a lot of DIY projects are safe and fun for kids to complete at home, with the help of adult or older siblings, and they can become great and unique gifts that have a special meaning. 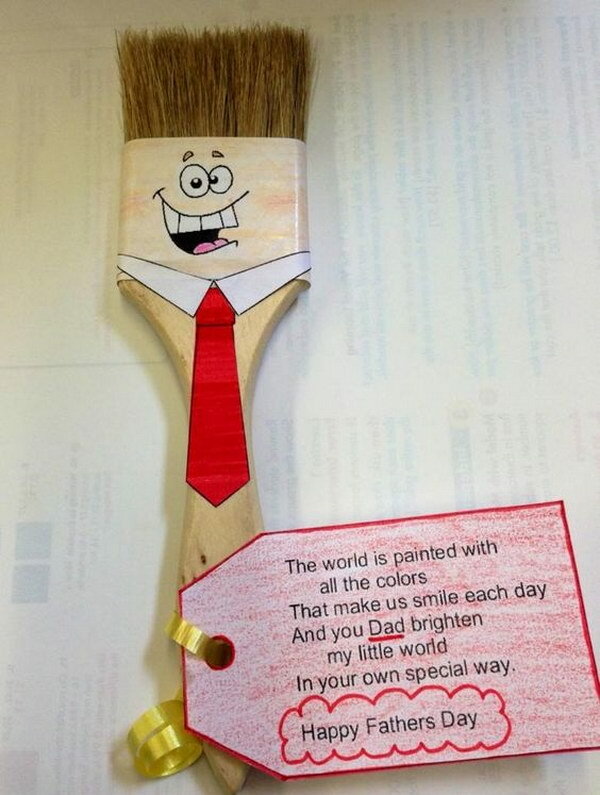 Here are some cool DIY gift ideas that kids can try to make and give their dads – and sometimes other people too, with little modifications. This gift is very sweet – in more than one sense – and it is really simple to do, as all that is needed is a metal tin, sweets to fill it with, paints and ribbon or paper. 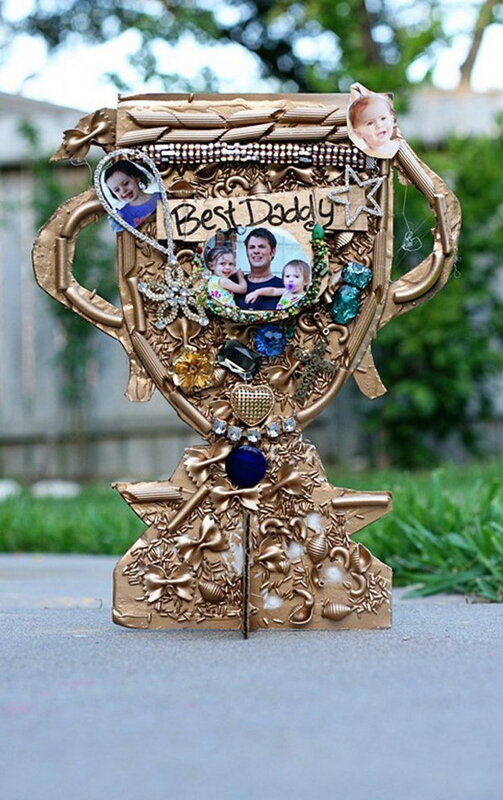 Once the tin is painted and filled, all there is to do is glue the ribbon and you have a truly sweet and surprising medal to reward the best father. via craftymorning. 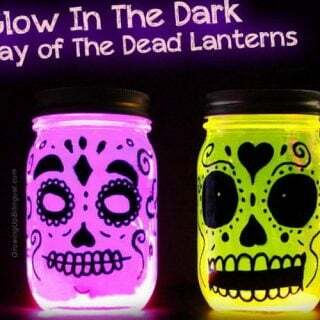 This is once again a really simple project to make. In fact, there might not even be much skill involved, if the template for the neck and tie is printed instead of drawn. If it is drawn by hand, however, it becomes even cuter and more special. 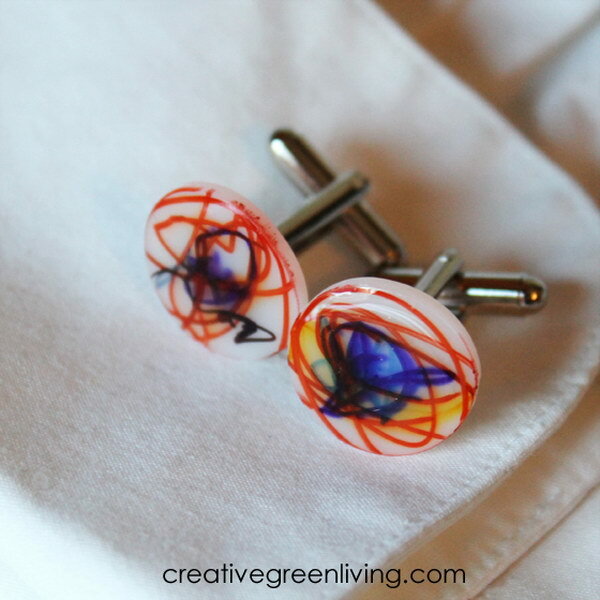 This one definitely requires a little more precision than some of the other projects in this article, so it might be more adequate for older kids to do, but you can be sure that the effort will be worth it, as dad will love to display or even wear these on special occasions. 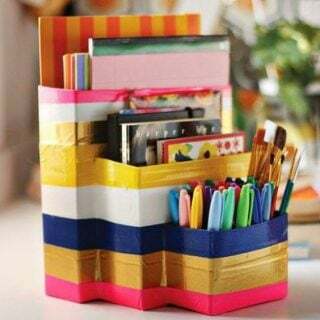 via creativegreenliving. 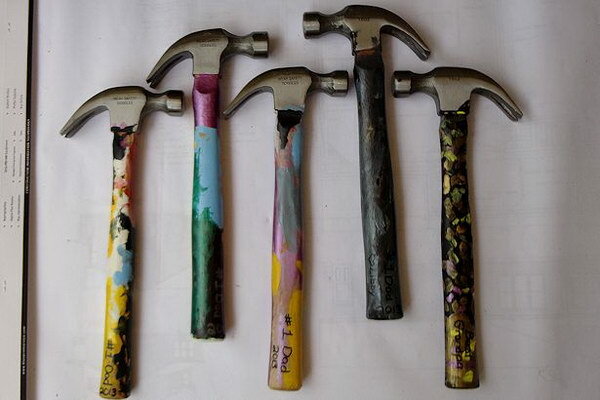 These hammers are really cool and different, and they will be perfect for a crafty dad. 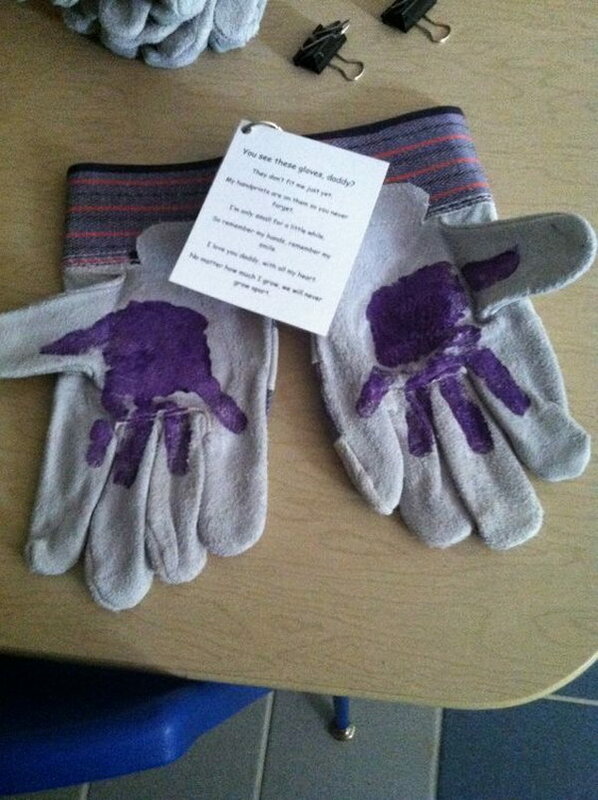 However, while the project itself is quite simple, younger kids might need to be supervised while handling these tools. via myhappycrazylife. 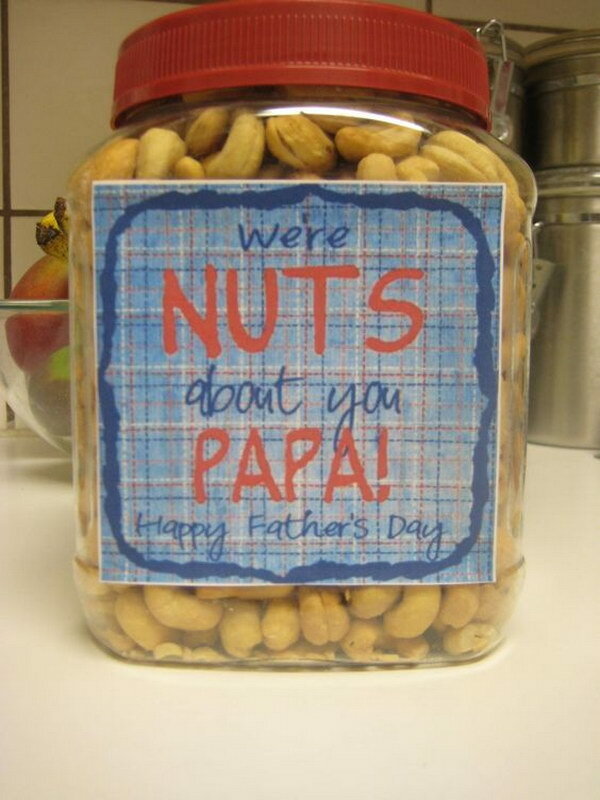 Fathers will always love to receive gifts in jars, and kids will always love to make them. 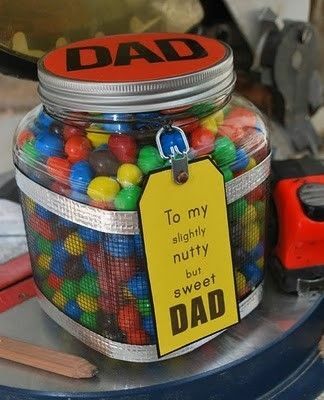 The key here is to either take a jar of something dad likes and decorate it or instead fill an empty one with treats and do the same. via dontwastethecrumbs. 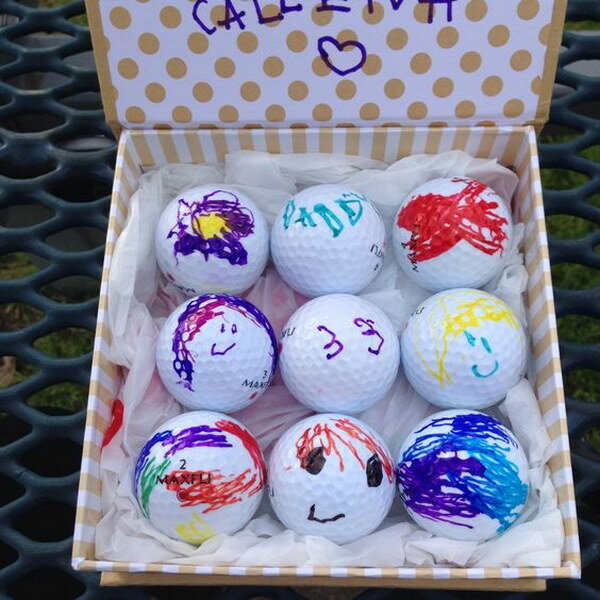 These golf balls are a great project for younger kids because the decoration is so simple that they can do it alone, even unsupervised. They are so cute though, that dad might not even want to play with them in the end. Via source. This tie is definitely like nothing else dad owns, that’s for sure. 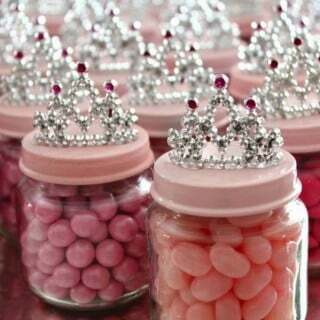 However, the candy might be a little tempting for kids themselves, and it might be hard to hold off on eating it. via faithfullyfree. 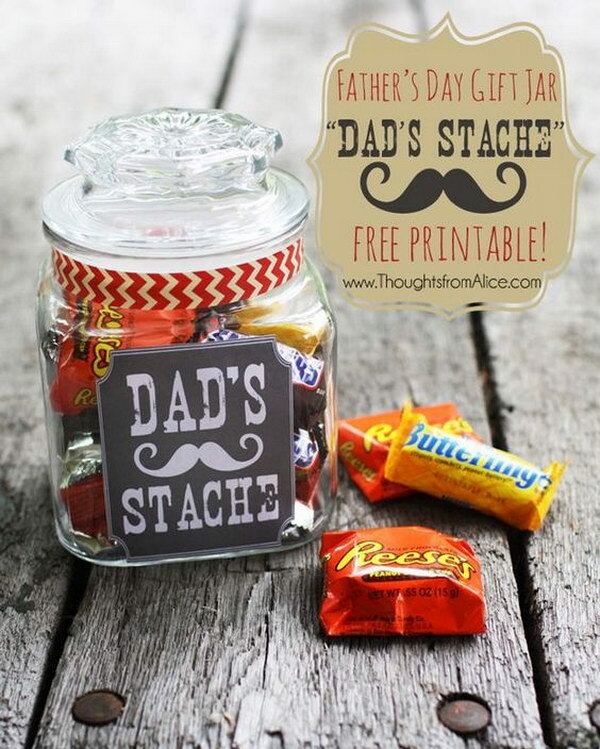 This is definitely a trendy project with the jar and the moustaches, but it’s also something that is really cute and doable, so it should be a hit among kids and dads alike. via thoughtsfromalice. 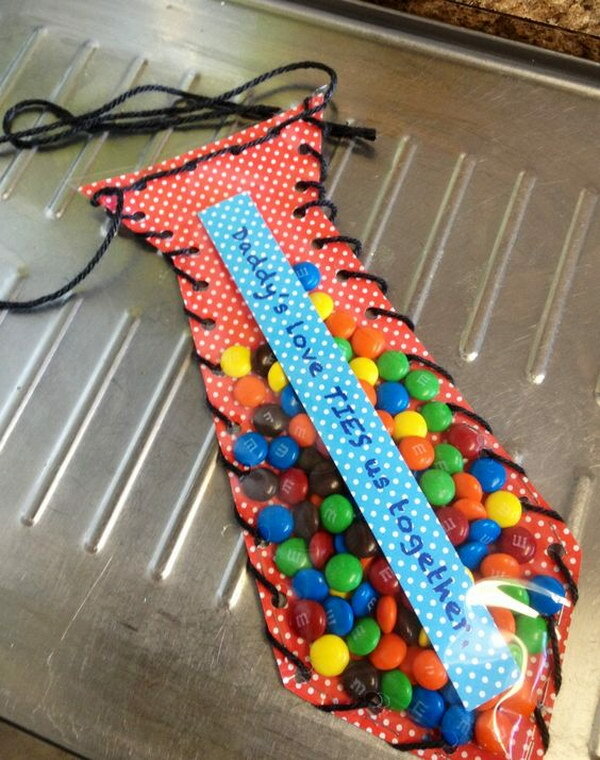 This gift is obviously a family project, in which everyone can take part, both the younger and older members, so it is great for a joint gift. via naptimedecorator. 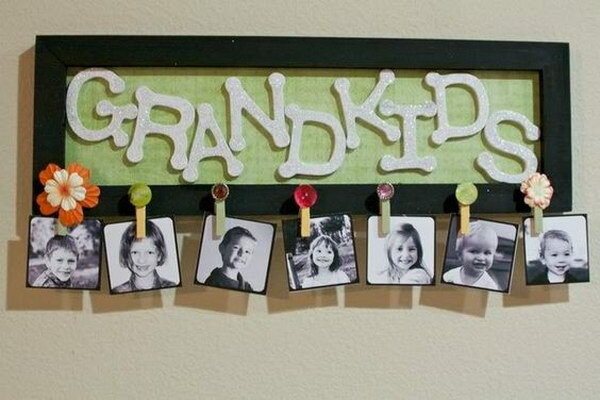 This frame is a really cool and unique idea, but while the drawing or picture inside is accessible for just anyone, the outside requires a bit more skill that the little ones might not have yet. via craftsbyamanda. 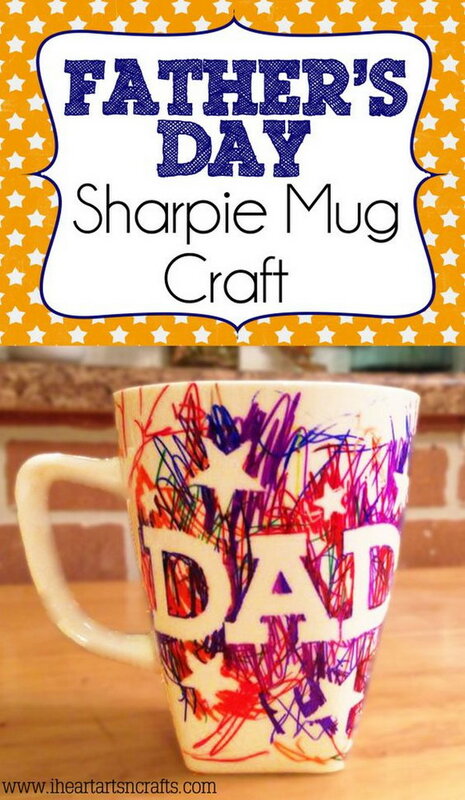 Sharpie mugs are really cute and easy projects to complete, which is probably why they are so popular among kids as well as teens and adults. For a lasting result, you can ? ?cook’ the mug in the microwave to seal the sharpie paint in. 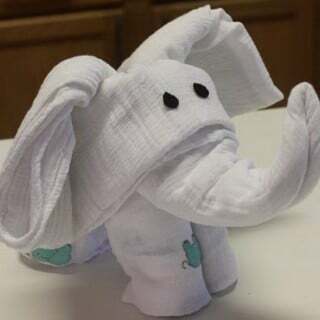 via iheartartsncrafts. Cute, practical and easy to make, these gardening gloves are a perfect present for a dad who loves gardening – or anyone else, to be fair. via indulgy. This superhero card is super unique and not difficult to make, so it’s definitely a cool idea. 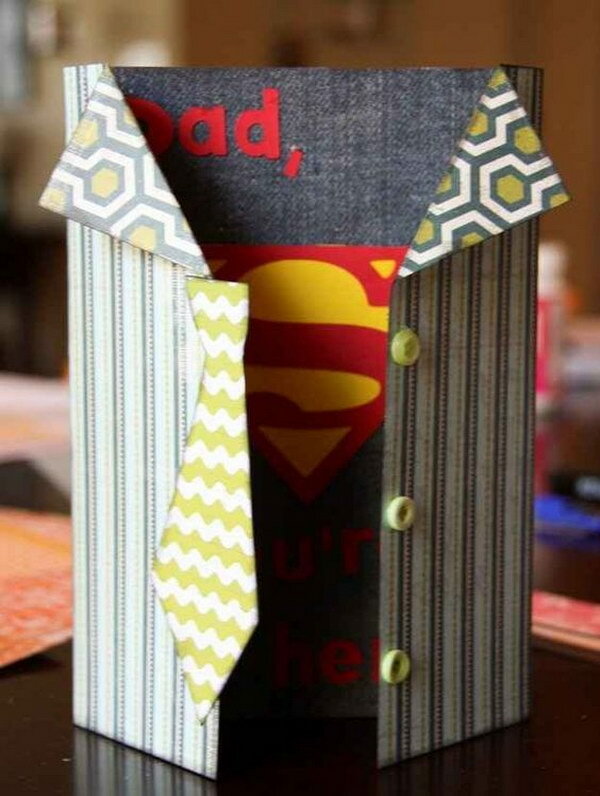 Whether you use printed images, scrapbook papers or drawings, it will always be a hit with Pops. via kaminskiscreations. This is an awesome project, no matter how you look at it. Don’t forget to tell your daddy to bring his camera along before showing it to him though, because the cutouts may last, but you can never fully recreate the original moment. via thelittlebackyardfarm. 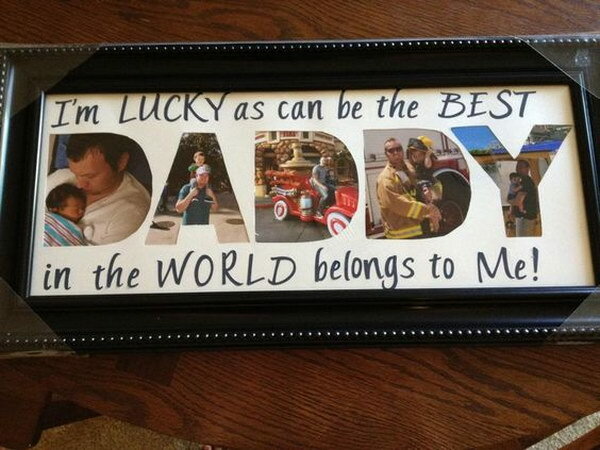 These photo decorations are a really beautiful and special gift not only for dad, but for the whole family to look back on, so they are always a great idea. 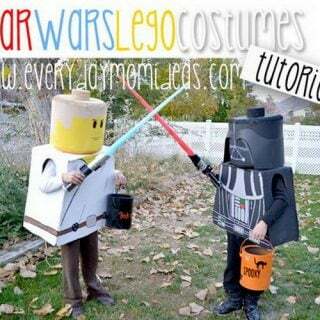 via ehow. 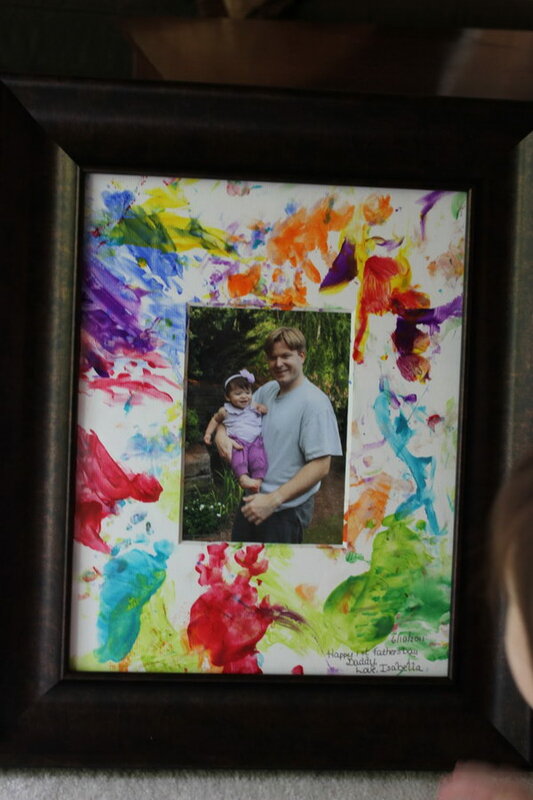 Another great photo gift, this one works best as a group effort, but it will always cause great impact. 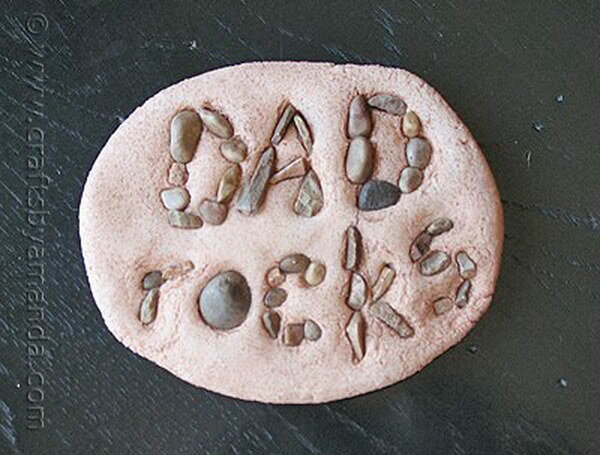 In short, daddy will love it, and so will anyone who sees this on the wall. 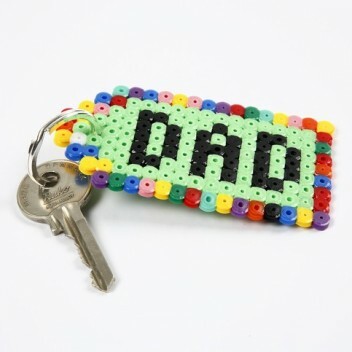 Practical gifts are always great for dads, and this is definitely one of them. He will definitely love to keep this beautiful piece with him to remind him of his kids every time he reaches into his pockets. 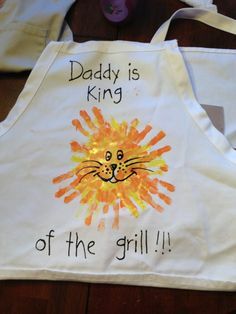 You know you can always find daddy near the grill when the weather allows it, so why not show your appreciation for him and his cooking with this cute apron? 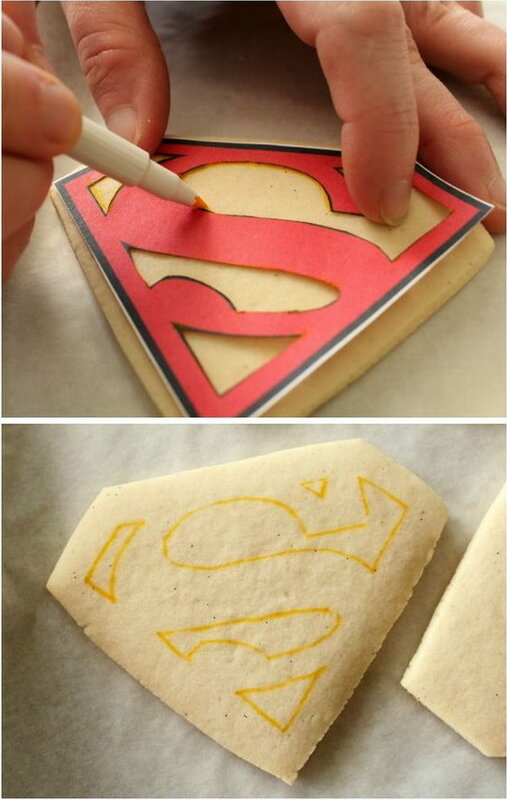 Don’t be scared, making it is as easy as drawing on a blank apron with fabric or permanent markers! via hubpages. 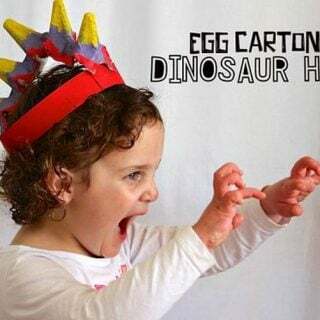 Finger painting is always a great idea for younger kids, because it is something that they can easily do and which is quite unique and artistic. 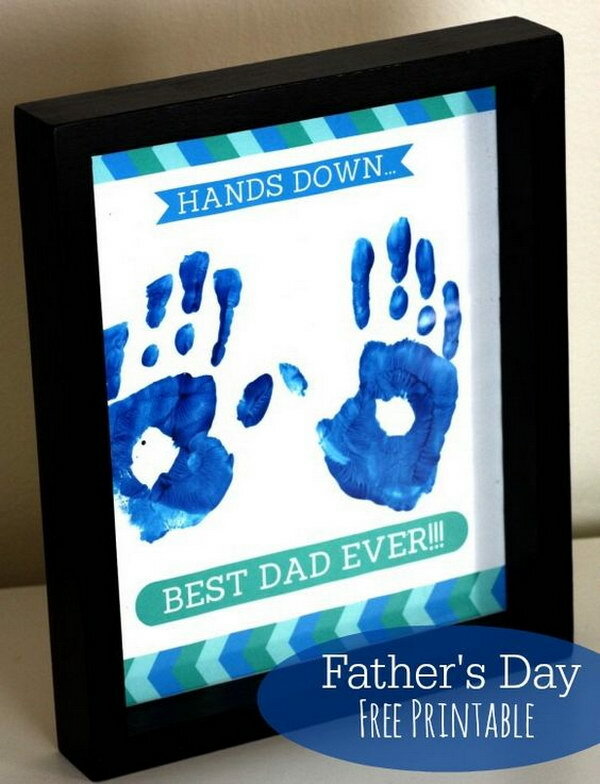 With the help of mom or older siblings, daddy’s little boy or girl’s first paintings can easily become a great gift for the ages. via source. 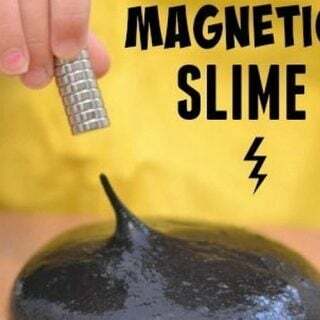 This is a really cool and sweet gift idea, but it is definitely one for the family to do and enjoy together, not just daddy. via sweetsugarbelle. 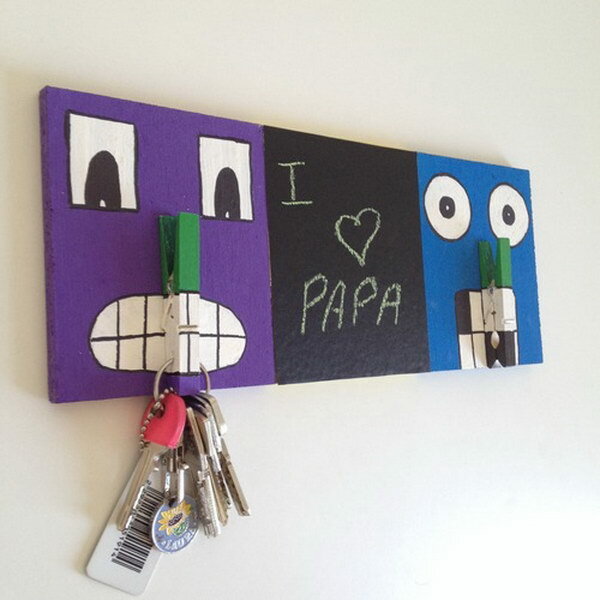 This frame is a really cute and witty gift that daddy will definitely love and want to display in his office. via catchmyparty. 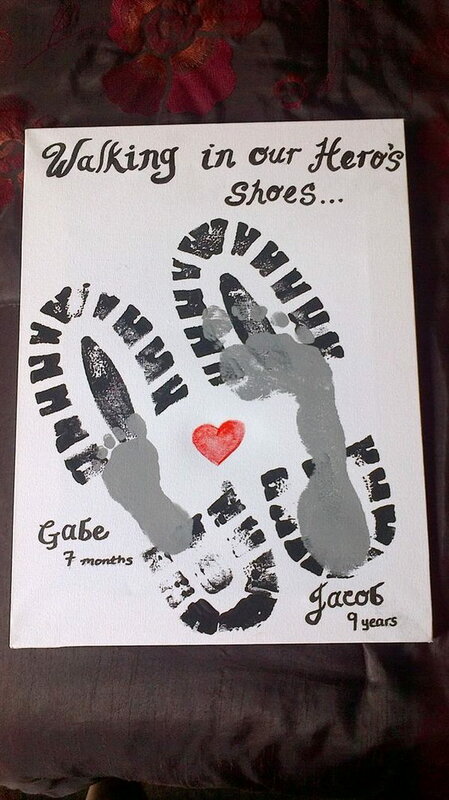 This print is one of the cutest and most meaningful of gifts anyone can come up with. However, it can’t really be a surprise unless there is great cunning involved. Via source. 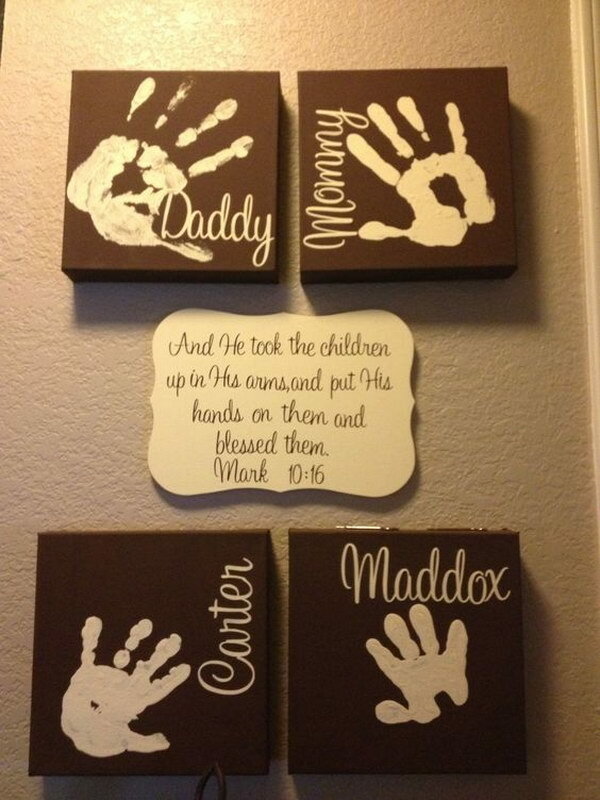 These handprint blocks are incredibly cute and even elegant, so they not only make a great gift, but also a really meaningful house or office decoration piece that will become a conversation-starter at parties and meetings. Via source.